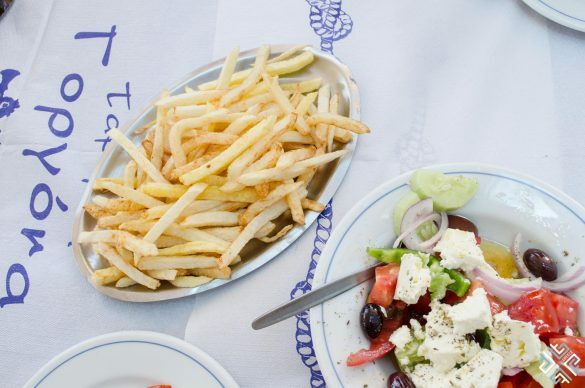 There’s no denying it, isolated beaches, magical sunsets, serene views, abundant sunshine and delicious food all make for a unique Greek holiday. 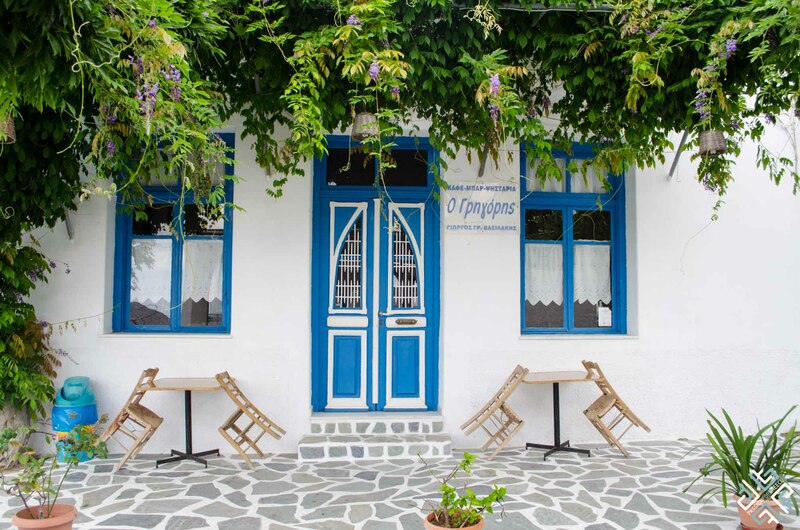 At Passion for Greece we are dedicated to personally exploring the destinations to bring you inspiring content for your next holiday in Greece. 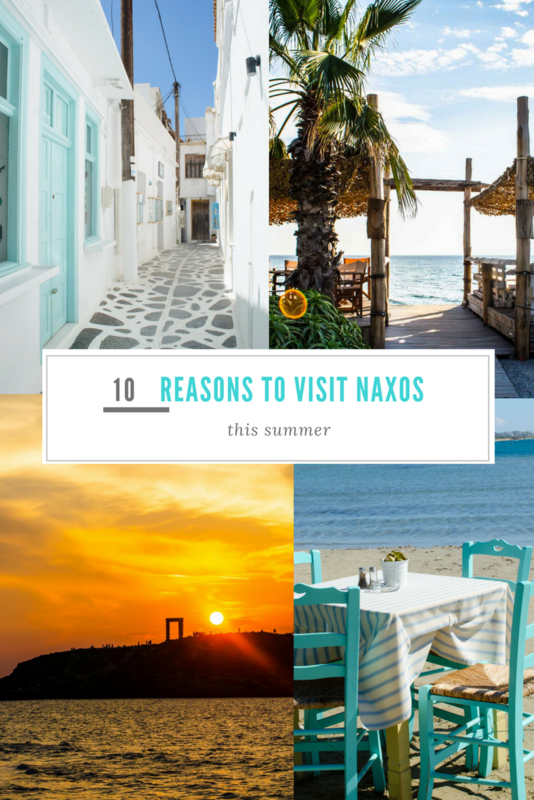 We’ve rounded up our 10 reasons to visit Naxos — no matter what kind of holiday you fancy. 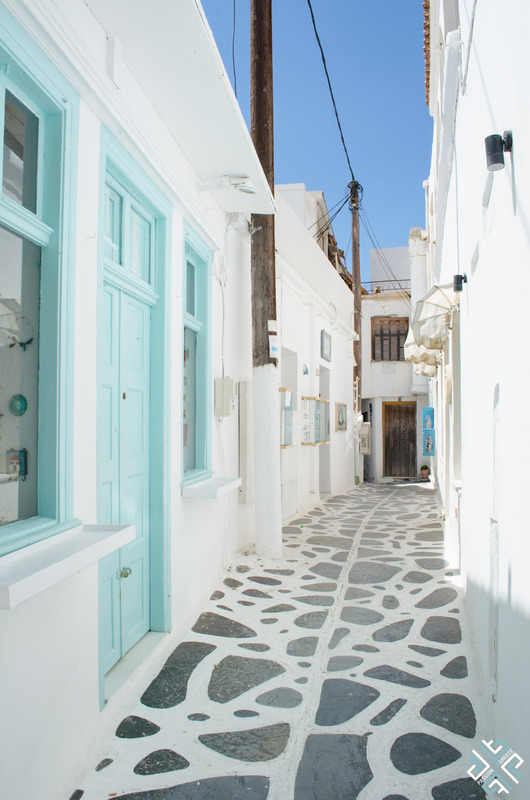 Although being the largest of the Cyclades islands, Naxos has managed to maintain its authentic charm, making it an ideal destination for adventure lovers and romantics alike. 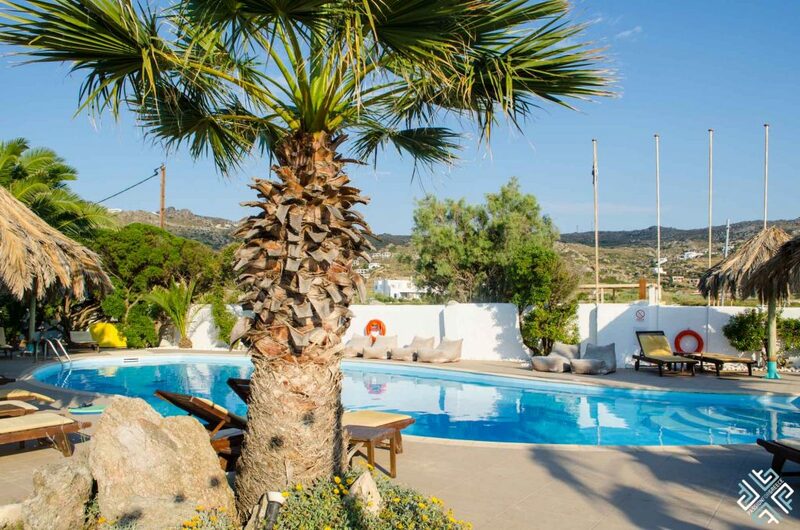 This exquisite piece of paradise in the middle of the Aegean Sea, surrounded by crystal clear blue waters is a peaceful sanctuary where time stands still. 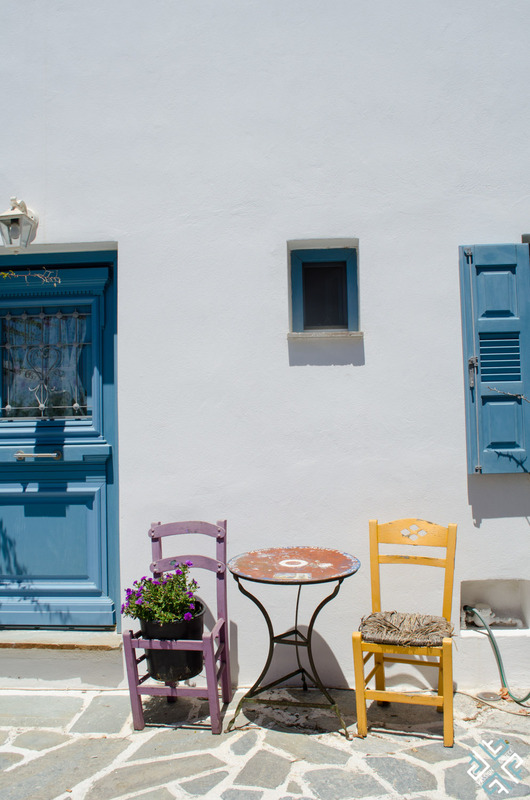 If you are spending a few days in Athens prior to or after your trip to Naxos, check out our guide to 4 days in Athens. 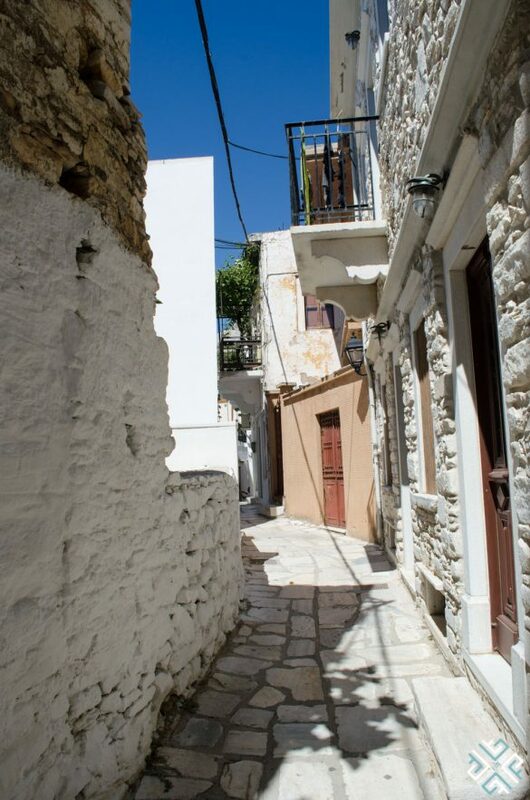 The capital and main harbor of Naxos — Chora is a photographer’s dream. 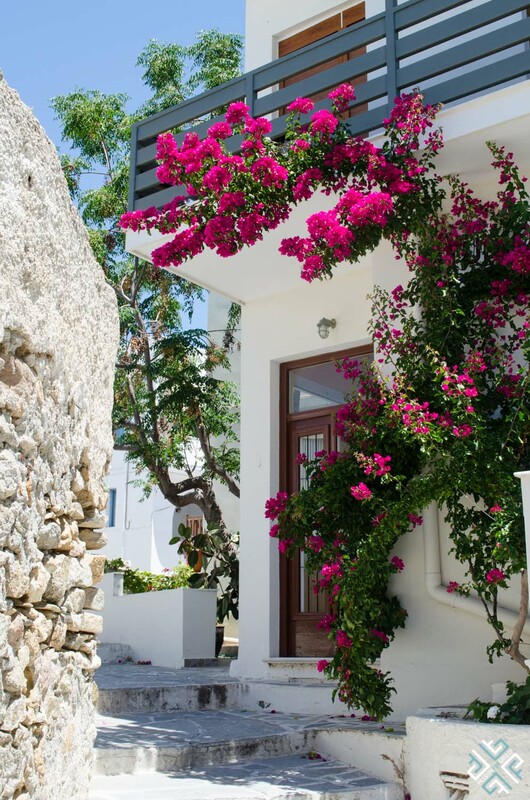 Enjoy the iconic white-washed Cycladic architecture, the blue painted windows, the spurs of lively colours and blooming bougainvilleas. 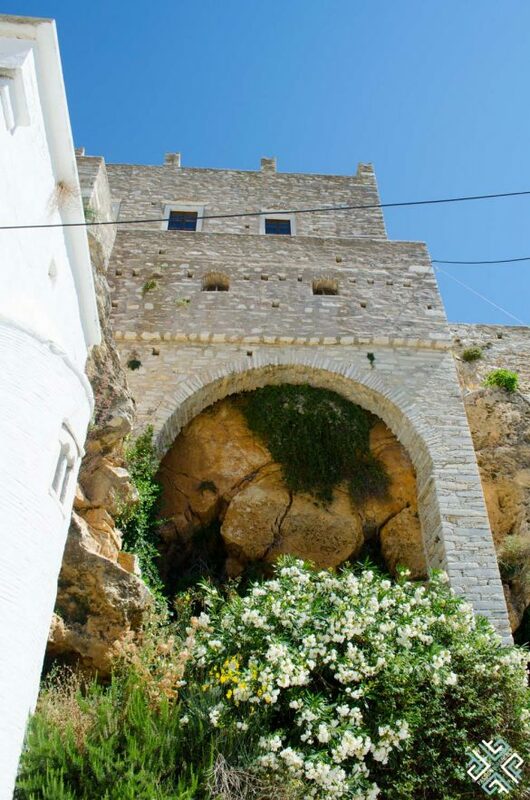 Climb up to the Venetian castle which sprawls the highest point of the capital and soak in the vibrant scenery that opens up to the majestic blues of the Aegean Sea. 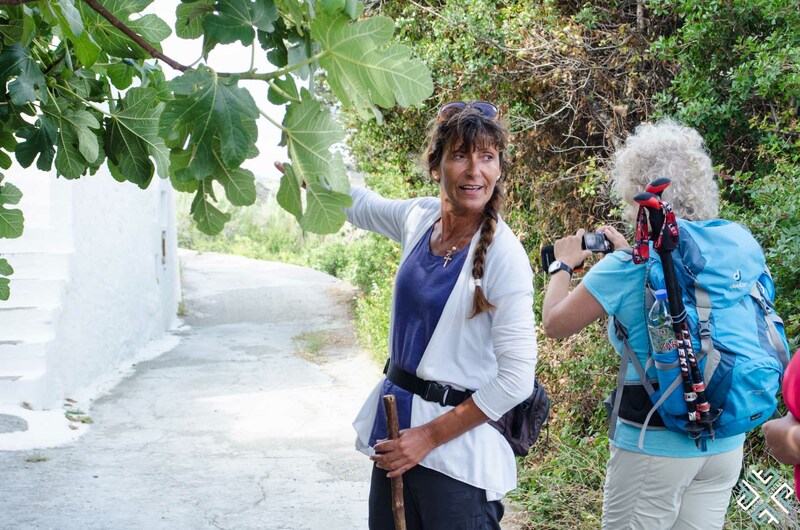 Many would agree that there is something special about getting to know a destination on foot. 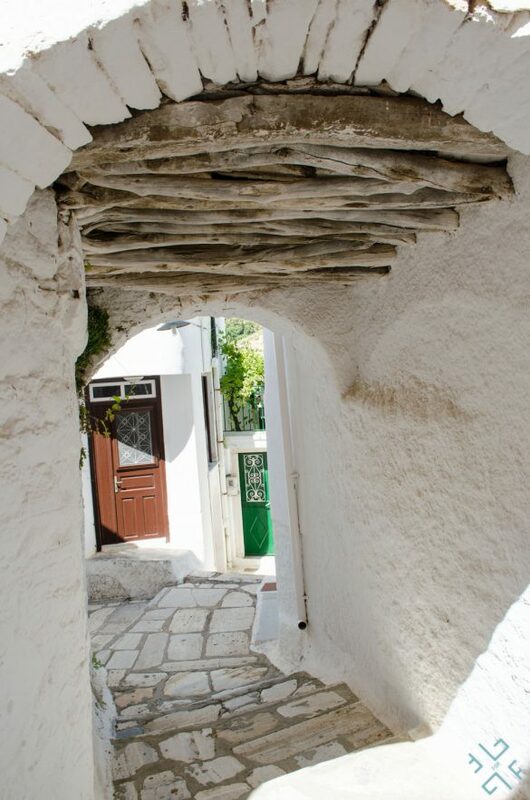 We recommend that you spend some time wandering the cobbled alleys, the thought of getting lost in an undiscovered part of the island sounds rather exciting. Doesn’t it? From hidden streets to pretty doors, windows and buildings, there is a whole wealth of knowledge to explore. 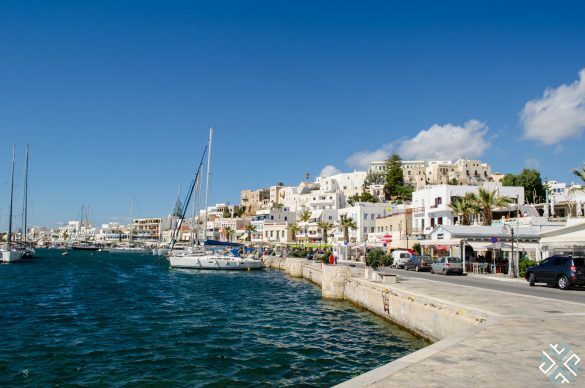 Dotted with mooring yachts, fishing boats and cruisers the main harbor of Naxos is a great place to enjoy those scenic seaside walks. The stretch across the harbor is lined with souvenir stores, cafes and local restaurants from where you can enjoy the gorgeous shoreline vistas. 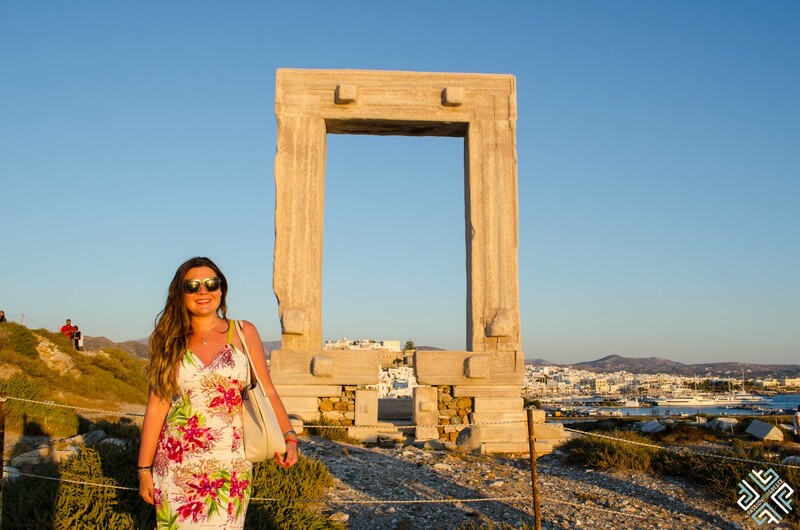 Follow the paved road leading towards the jewel of Naxos, the famous Portara an imposing door which is the only evidence of the unfinished Temple of Apollo, god of sun and music which was built in the 6th century BC. We came here during the longest day of the year, June 21st and the sunset was spectacular. 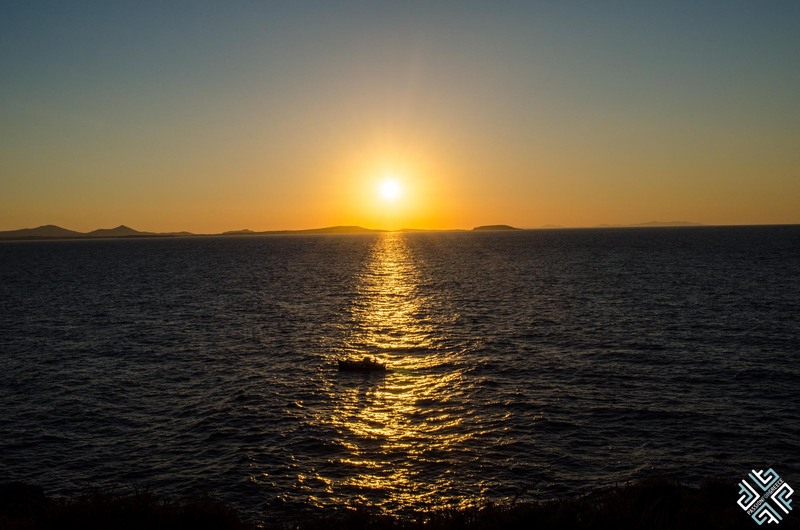 It is considered to be one of the most impressive sunset spots in the world. 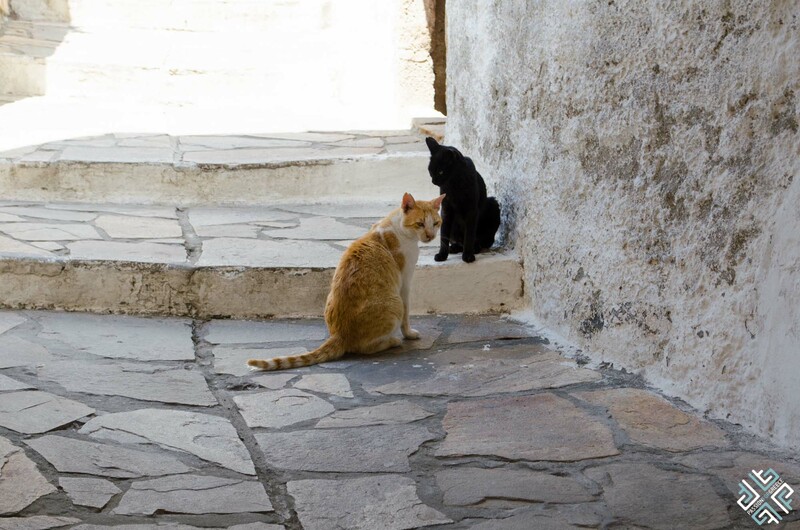 On every Greek island you are bound to meet cats, Naxos is no exception. 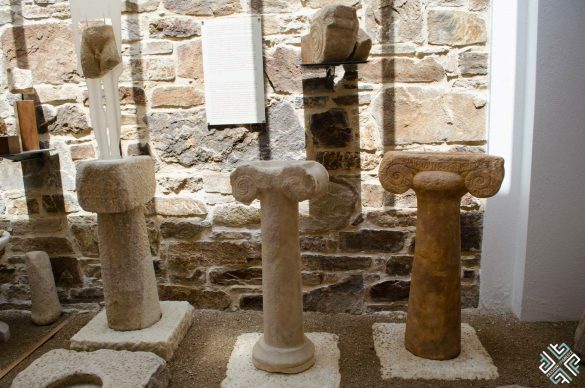 These furry creatures will be there to greet you along the way. They do love to pose for pictures. Naxos is an island of fertile land and is famous for its Naxian potatoes which have a distinct taste. 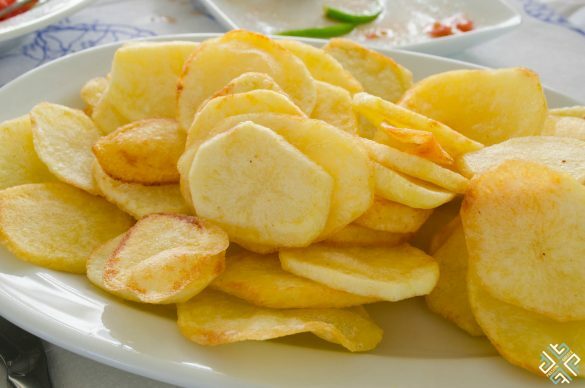 The potatoes which are small in size have been cultivated on the island since the end of the 18th century when Naxos became one of the most significant producers contributing greatly to the prosperity of the island. 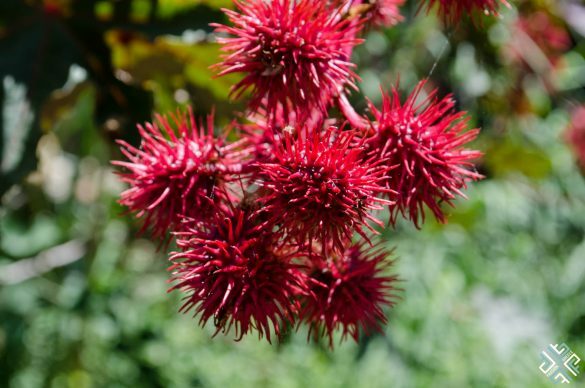 This is a local delicacy which you must definitely try. We had the best food in Naxos. 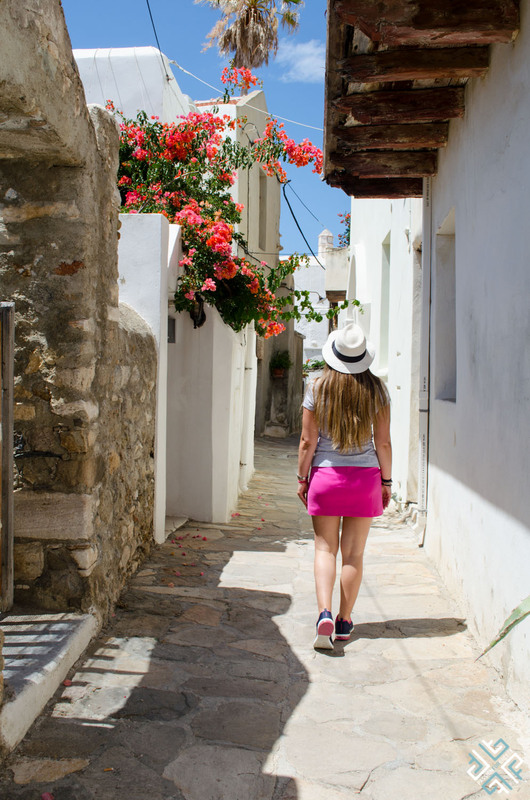 Naxos is well known for some of the most remarkable hiking routes which pass through scenic mountainous villages and ancient marble quarries. 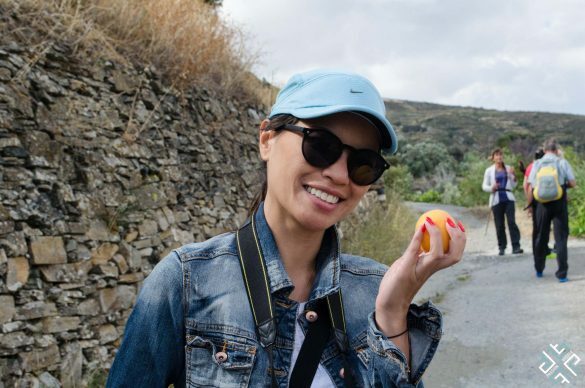 One day my friend and fellow travel blogger Marissa of Travel Greece, Travel Europe and I went on a four hour hiking tour with a local expert Stella Korre. We joined her on the Kurunochori or Seven Villages walk which was absolutely spectacular. 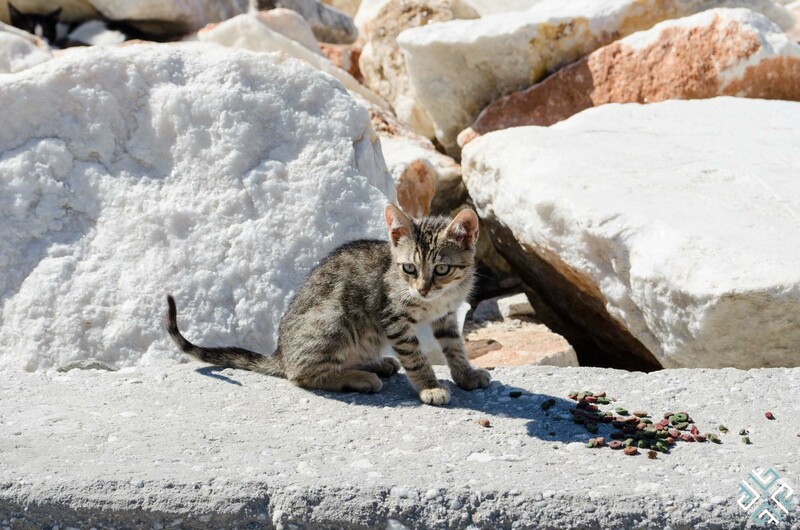 Stella was born and raised on Naxos. She has been walking these trails from a young age when she and her brother would join her grandmother on her errands. When the heat of the hot summer days would get her in a sleepy state, grandma would put them to sleep in the woven baskets hanging from each side of the donkey. 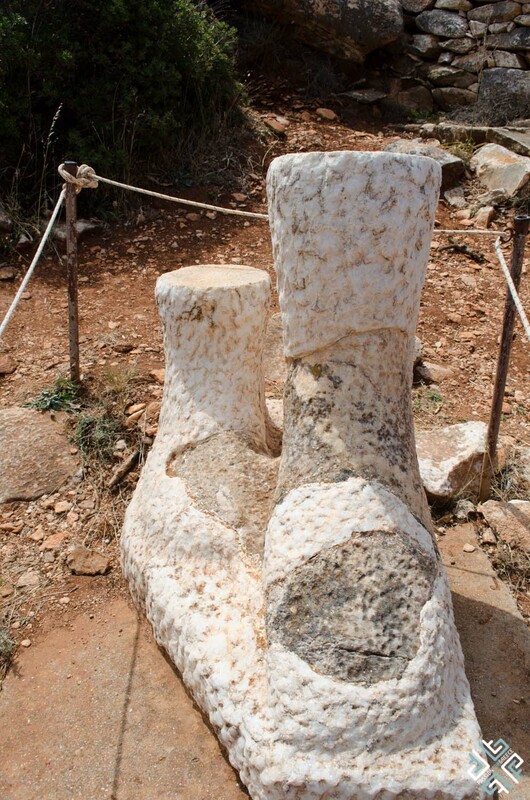 During our tour we visited the two Kouros statues which date back to the 6th century B.C., heard Stella tell us educational stories about the fascinating local flora and fauna of Naxos, the island’s marble queries and walked the ancient marble trails. We picked fresh fruit and ate it along the way, as Stella would tell us that she had the permission from the owners to pick the fruits. hiked from Kurunochori to Mili, Upper Potamia, Lower Potamia, Kalamitsia and in the end into Melanes where we sat down for lunch in a family-run taverna. Naxos is home to 45 villages some of which overlook mountainous valleys and others are surrounded by olive groves. Each village is known for its unique, remarkable charm. 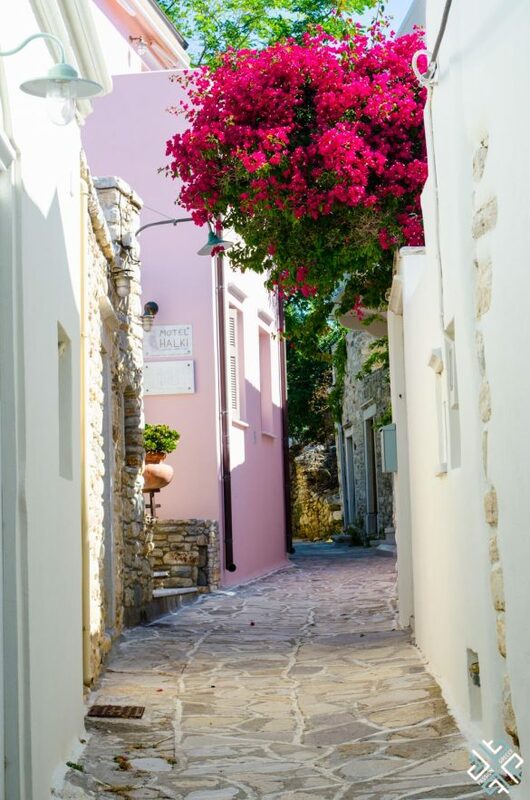 When asking the locals which villages to visit they recommended Halki and Apiranthos although if you are spending some time on Naxos you should definitely visit other villages too. 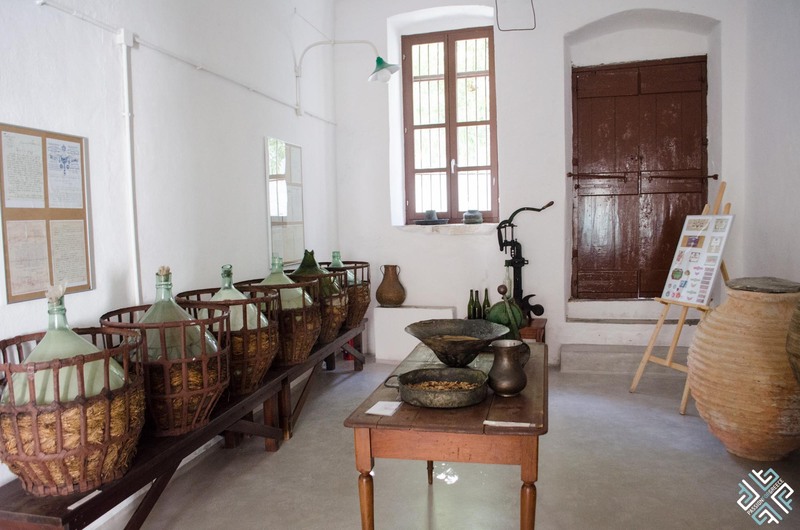 In Halki make sure to stop by the Vallindras Distillery to learn all about the locally produced citron liquor known as kitron, you can also try the different types and buy some to bring back home. 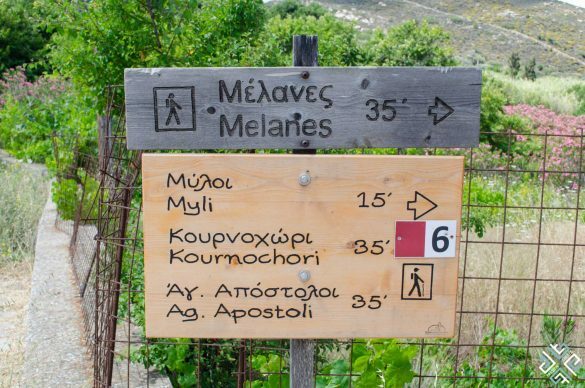 The village of Apiranthos set between two green valleys was originally settled by Cretans and till this day you can come across the Cretan dialect spoken by the locals. 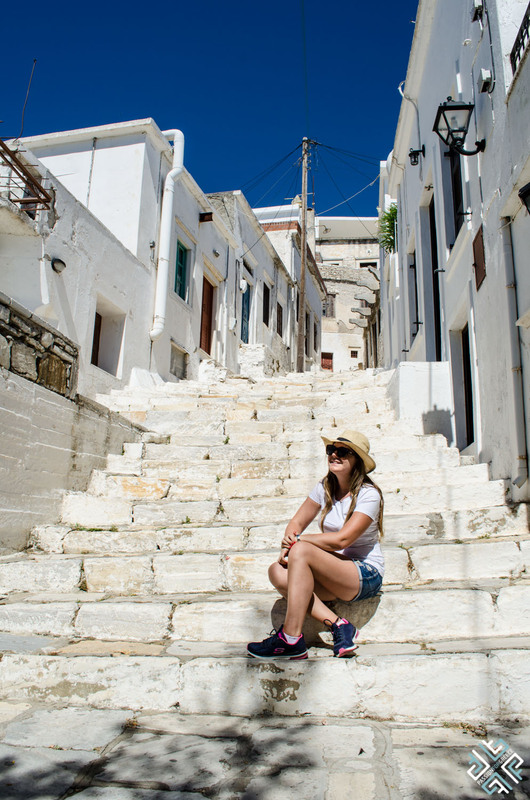 Here you can admire the Venetian architecture while walking through the narrow paved mule tracks covered by archways with impressive marble details. 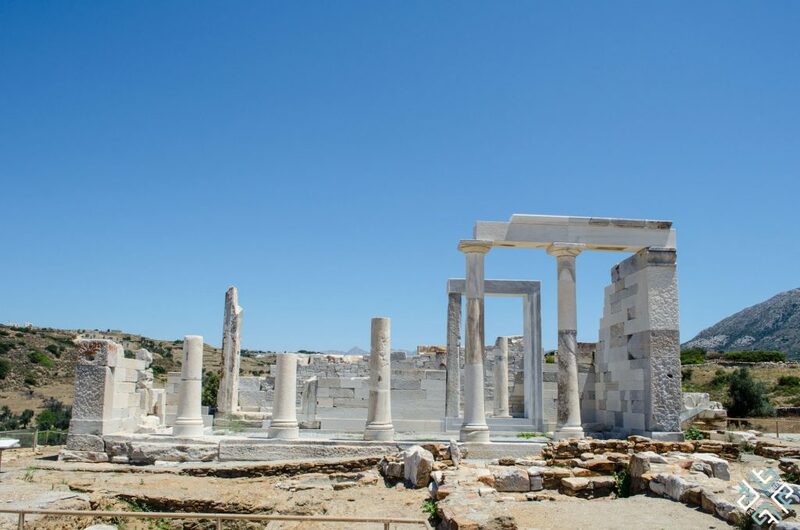 The sacred island of Naxos is home to the Temple of Demeter the ancient goddess of earth fertility. 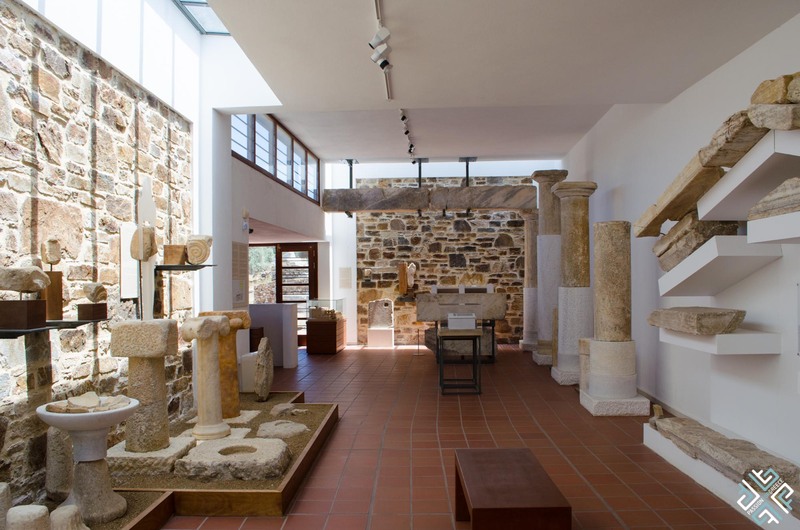 This imposing temple made of the finest Naxian white marble dates back to 530-520 BC and is located in the village of Ano Sangri. 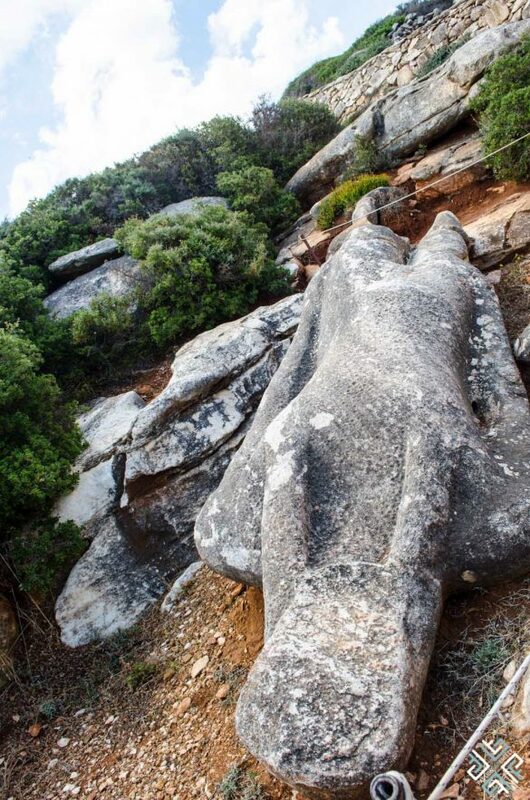 According to the ancient Greek mythology the temple stands on the hill where Pluto placed the abducted Mother and Daughter. Persephone the daughter of Zeus and Demeter was taken to the netherworld and symbolises the cycle of seasons. 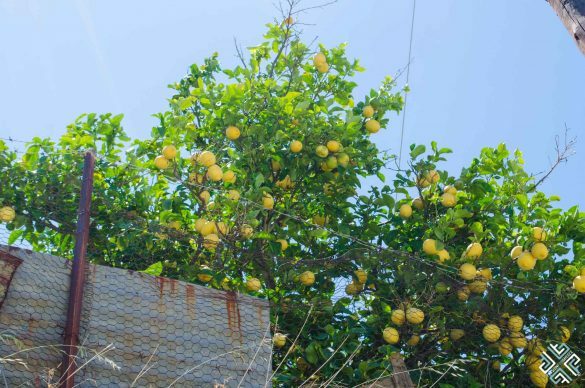 It is here amidst the fragrant valley at the beginning of the autumn, when the seeds of the old crop are laid on the fields, Persephone ascends and reunites with her mother Demeter. 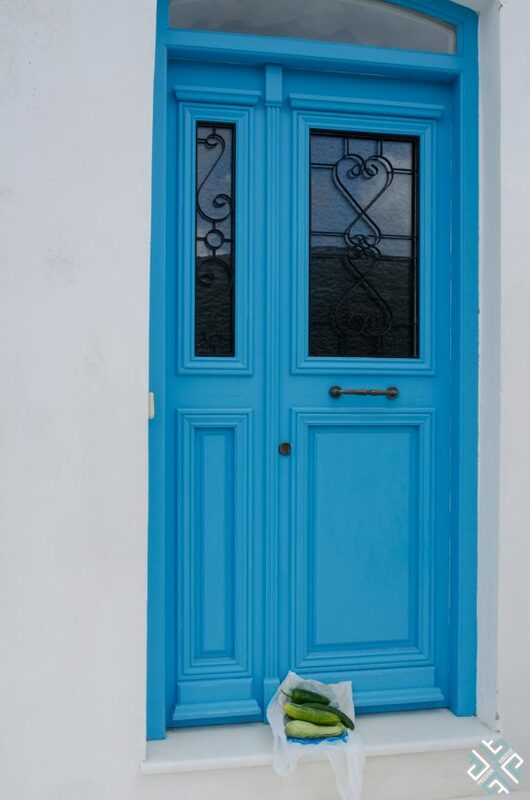 Shimmering blue waters surrounded by silky beaches will leave you bedazzled. 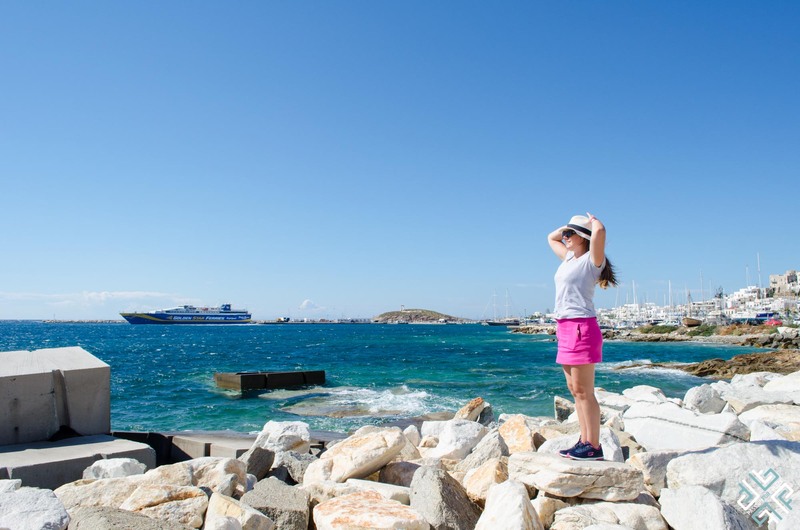 Naxos offers a choice of beaches to satisfy all tastes. 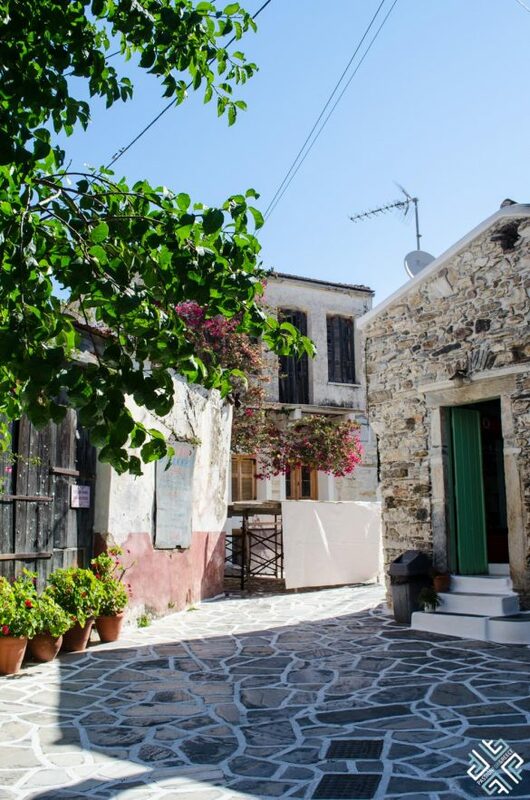 Plaka is one of the longest beaches on the island. A beautiful sandy beach set on the southwestern coast of Naxos approximately 8 kilometres south of Chora is ideal for families with children. Most part of the beach is organised with sunbeds and umbrellas. 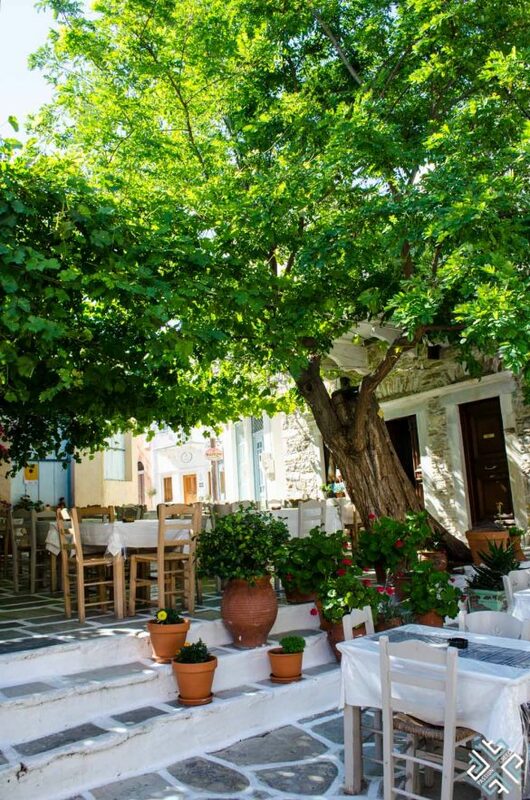 The sandy beach of Agia Anna is located 7 kilometres from Chora. 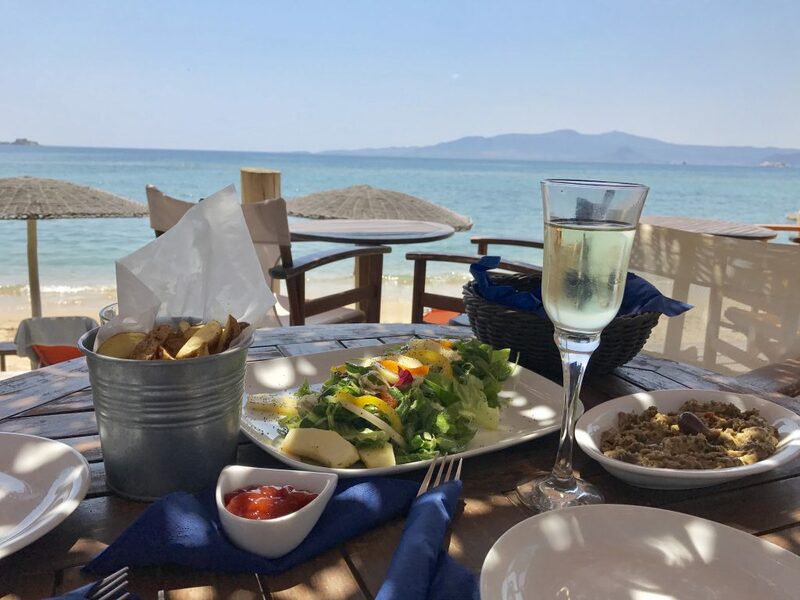 Awarded with a Blue Flag for the cleanliness of its waters this beach resort features a number of restaurants, cafes and organized beach facilities. 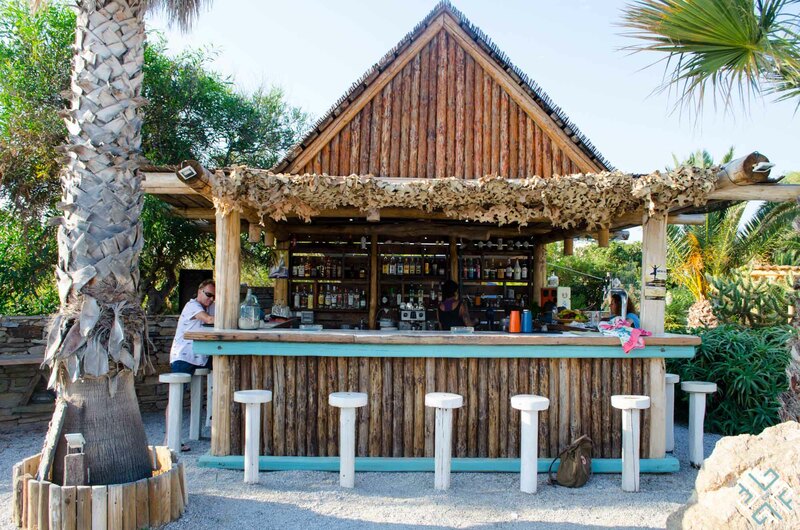 The long sandy beach of Agios Prokopios is one of the most famous on the island and has been awarded as one of the best beaches of Europe. 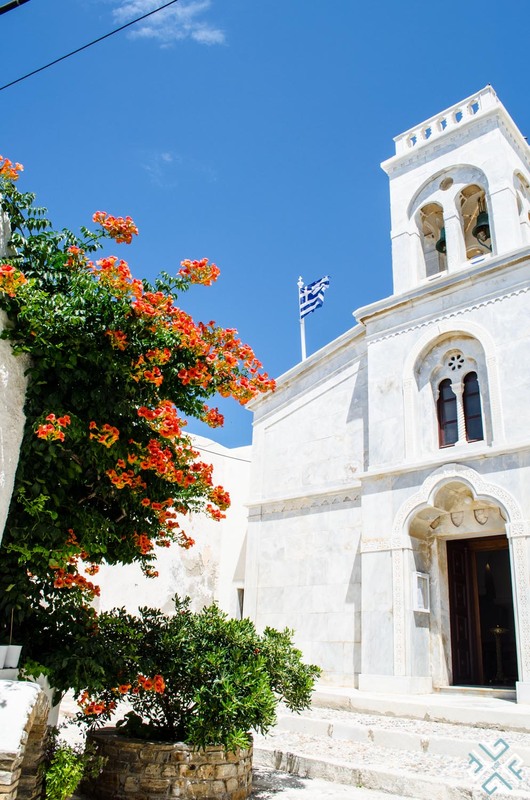 Set on the western part of the island, 5 kilometres of Chora offers organized beach facilities and is great for families with children. 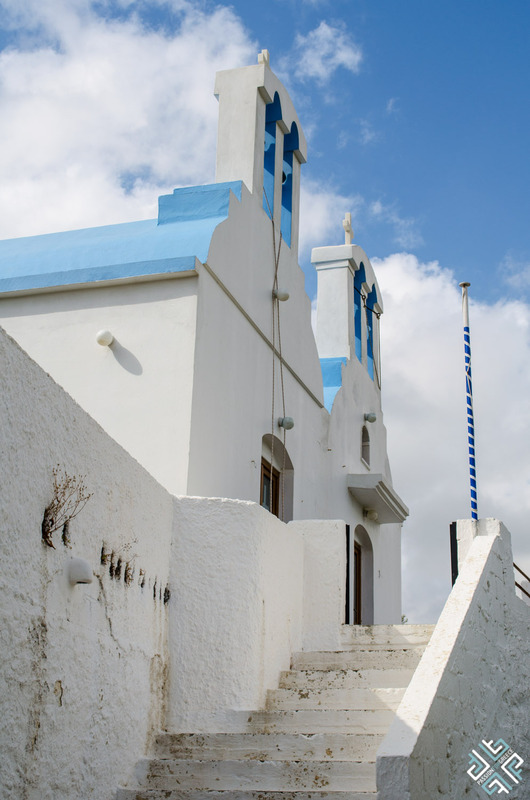 The sandy beach of Agios Georgios is located a walking distance from Chora. Here you will find organized beach facilities, restaurants, cafes and hotels. The beach has been awarded with a Blue Flag. 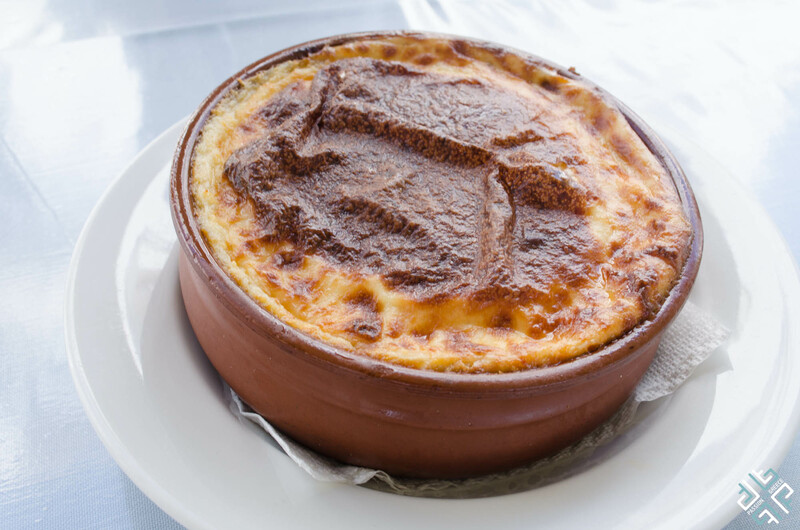 Apart from the famous Naxian potatoes you are guaranteed to enjoy a fantastic culinary scene when holidaying on Naxos. 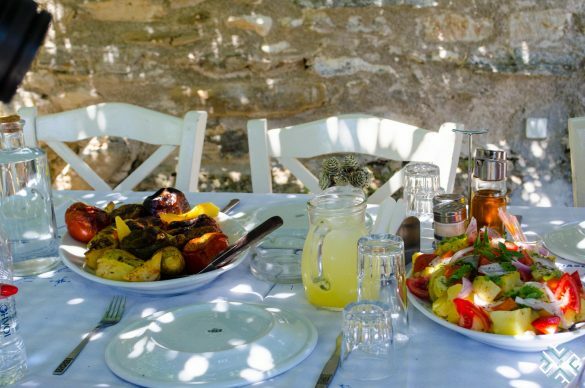 Freshly grown vegetables, fruits, locally produced olive oil, wine, local cheeses, honey and sweets are just a few examples. The Naxian cuisine prides itself for the traditional recipes which have been passed on from generation to generation. For our foodie guide to the island read our previous post Best Restaurants on Naxos. 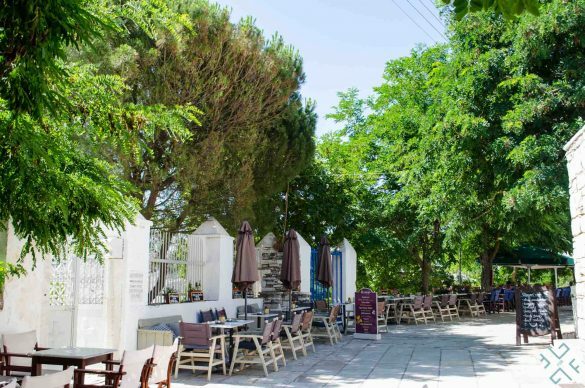 Where to Stay on Naxos? Located on the longest sandy beach of Naxos, Plaka Beach — Medusa Beach Resort and Suites is your ultimate holiday escape. 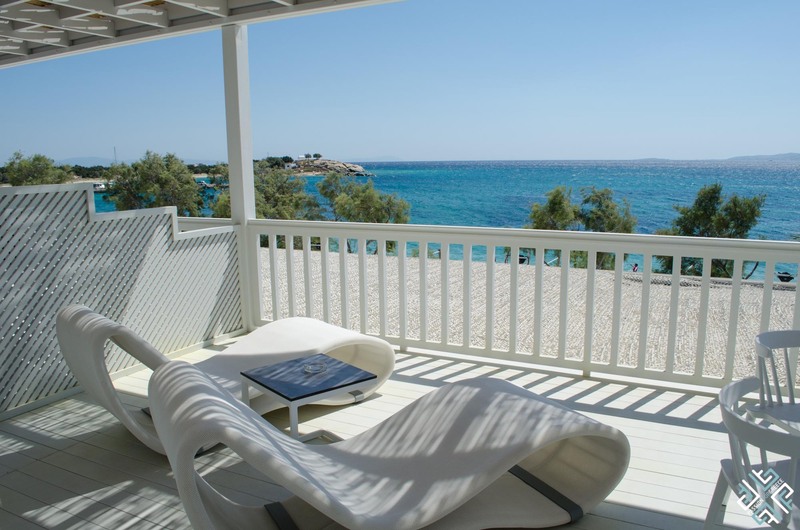 With its own private golden beach this resort resembles the perfect tropical destination retreat. 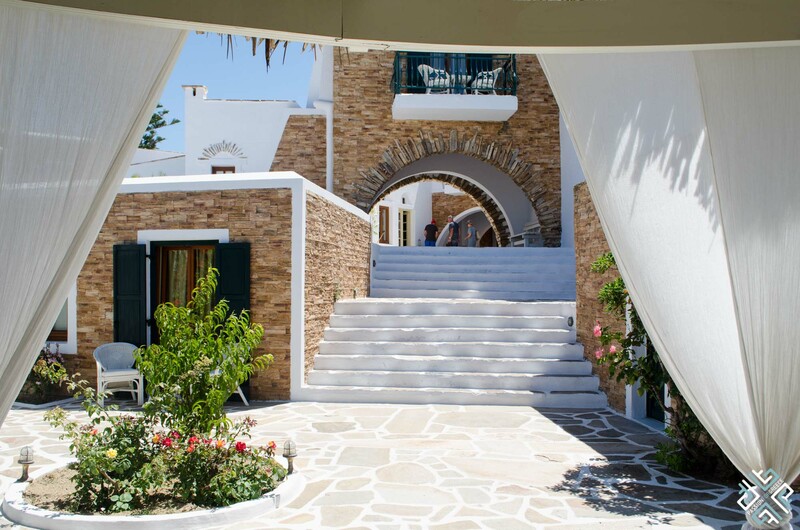 Traditional Cycladic design, warm hospitality and serene environment dominate this family-run resort. 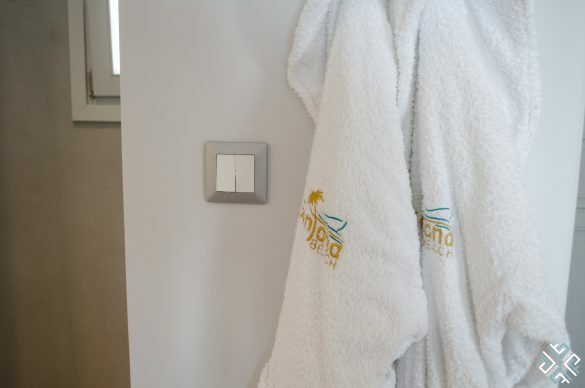 Accommodation options vary from standard rooms to deluxe, family rooms and suites, all of which open up to fantastic sea views. 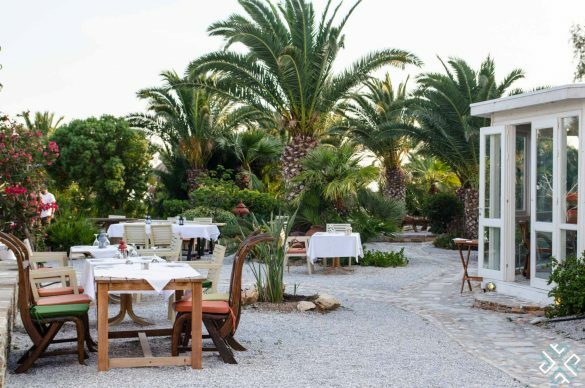 The Restaurant set in the resort’s tropical garden serves Greek style breakfast, light lunch and dinner. 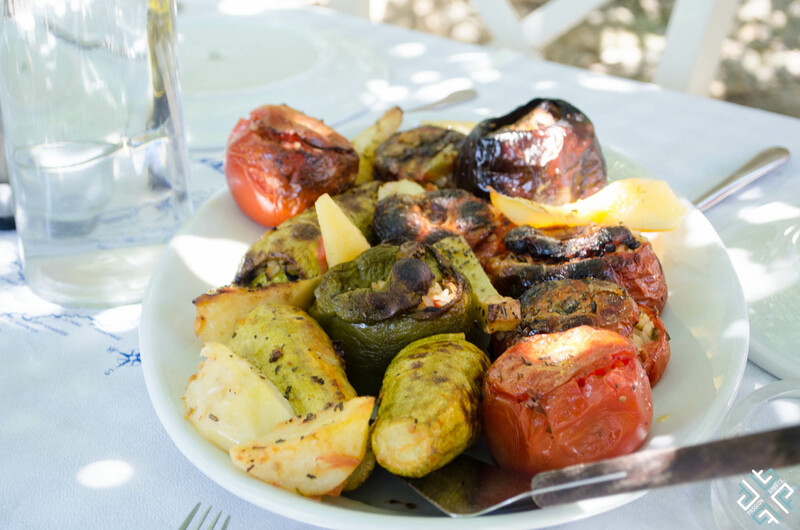 Lunch and snacks are also served under a shaded pergola overlooking the sea. Fantastic personalised service is a highlight. A special thank you to Eddie, a very nice gentleman who is there to take care of you during your meals. His passion and dedication shine through. We recommend this hotel for nature lovers, romantic holidays and for those who appreciate unpretentious luxury. 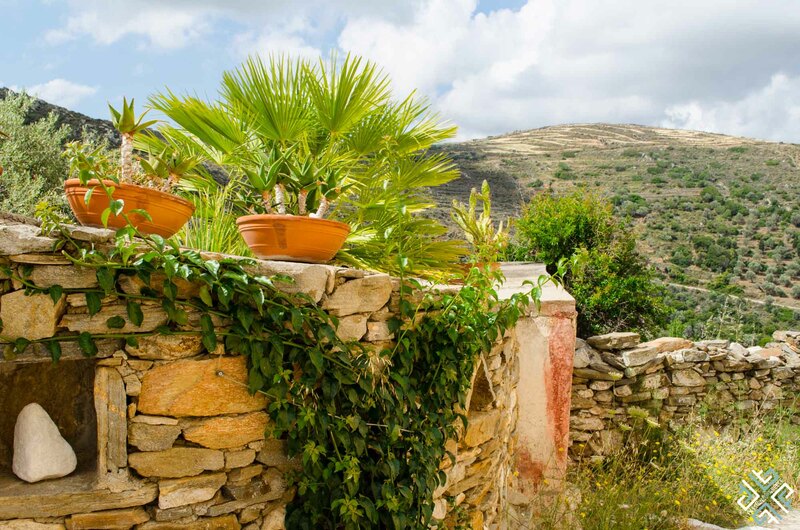 To check availability and rates click here. 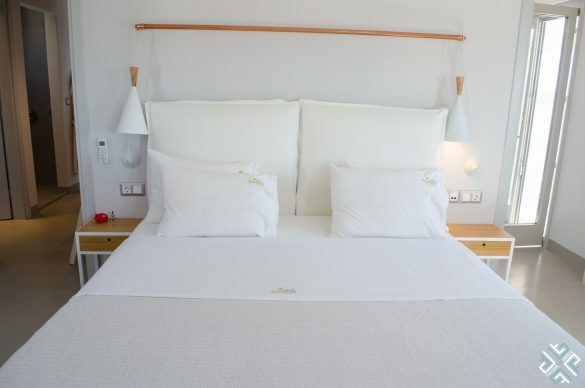 Located a walking distance from Chora and right in front of the Agios Giorgios Beach, Galaxy Hotel features 54 rooms which have been renovated in 2014. We stayed in a garden view room with a terrace, the bathroom featured a Hydro massage shower, there was a separate sofa corner. The hotel is quite, ideal for those who wish to relax by the pool or are holidaying with their family. There is a children’s playground on the hotel grounds and the beach is just a few steps outside from the resort. Breakfast buffet had a selection of cold cuts and cheeses, fruits, baked goods, cereals and eggs. 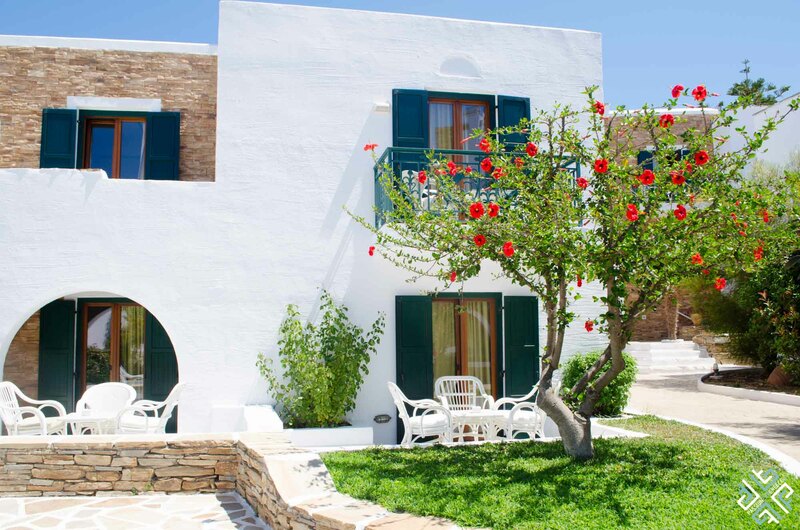 Ideal for those who are looking for a nice budget hotel close to the Chora of Naxos. For best available rates and availability click here. Santana Beach is an all-day beach resort featuring 6 luxury suites with direct sea views. 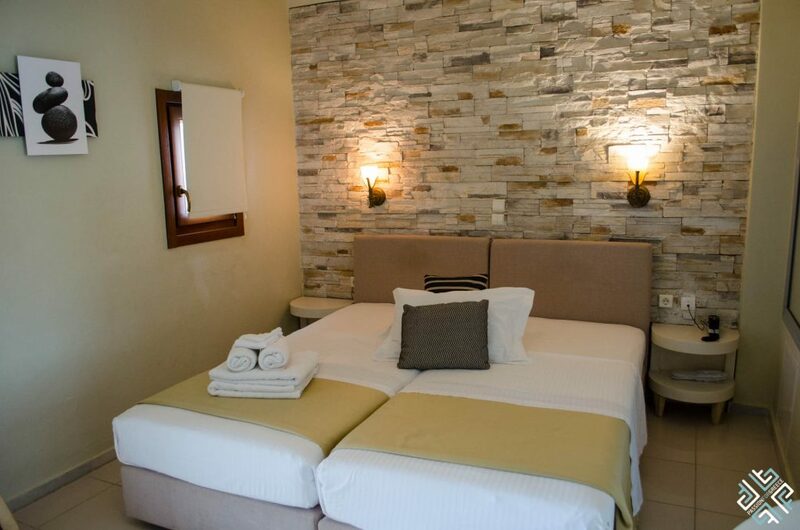 Spacious accommodation with a separate modern lounge which features a sitting area and table, open style wardrobe, bathroom with a separate WC and shower and a bedroom. Our suite had a spacious balcony with two loungers and fantastic sea views. 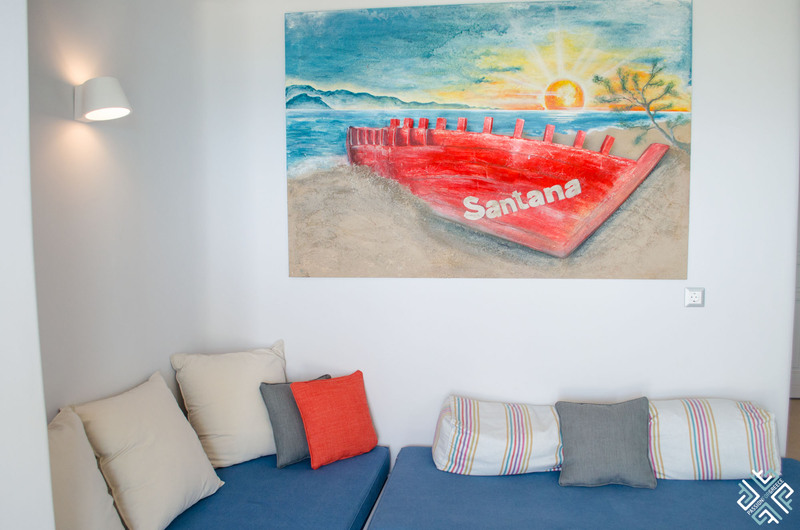 Guests have complimentary access to the beach where you can spend the day swimming and tanning. 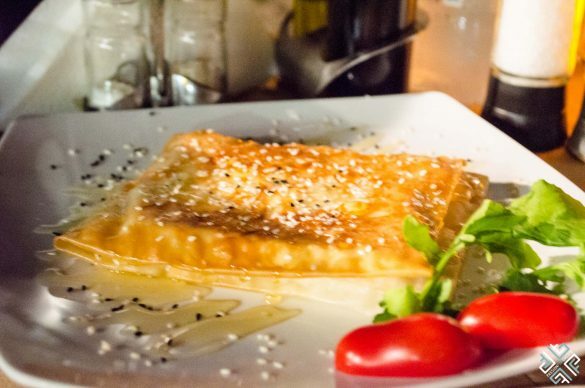 The restaurant-bar is open throughout the day serving a great selection of Mediterranean dishes. 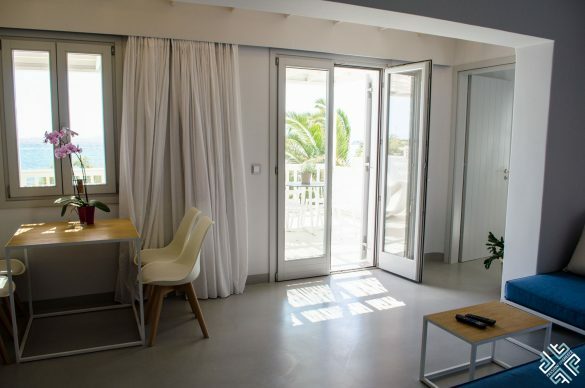 The modern facilities are ideal for those who are looking for a beach/fun holiday. 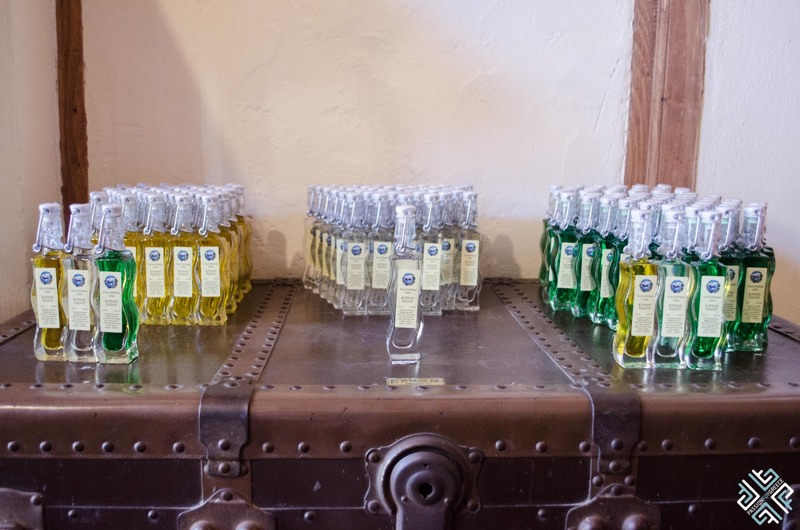 To check availability and prices click here. 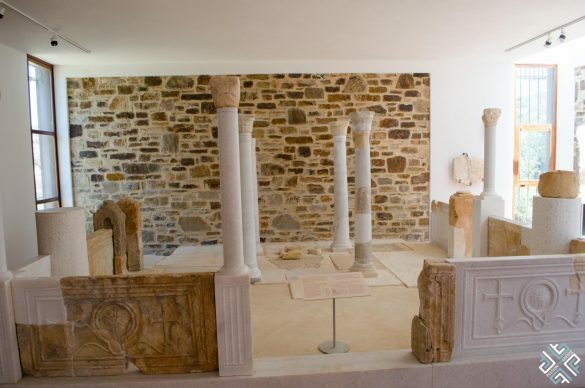 How to get to Naxos? By airplane: There are direct connections with Athens International Airport and with other European airports via pre-arranged charter flights. 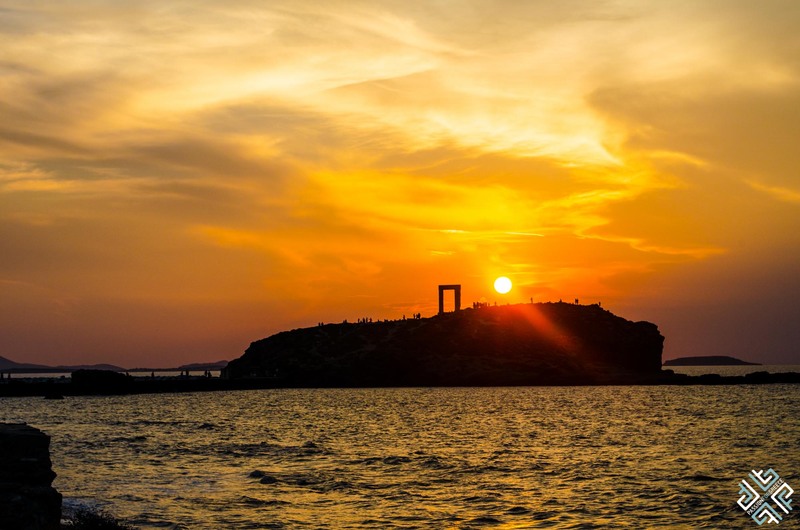 By ferry: You can travel to Naxos with Blue Star Ferries, the journey takes approximately five hours from leaving from the Port of Piraeus. 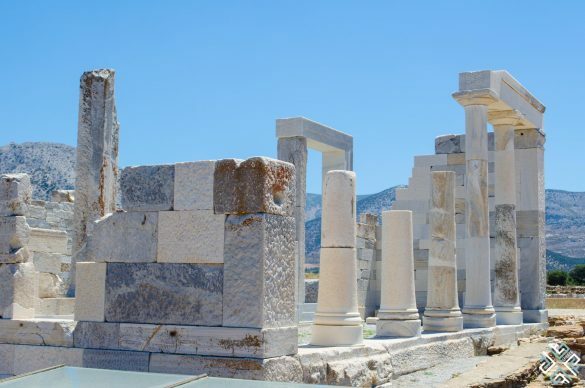 There are several transportation options which you can opt for when arriving at the Athens International Airport. If you are planning to catch the same day ferry to the Greek islands. There is one bus that goes from the Athens International Airport to the port of Piraeus, the X96. The express bus station is located outside the Arrivals. You can buy the ticket in one of the ticket booths located outside. The journey is approximately 90 minutes. Buses run 24/7 and depart every 15-30 minutes. The price of the bus ticket is €6. I am wearing the Skech-Air infinity shoes. Check out my collaboration with Skechers on their blog. 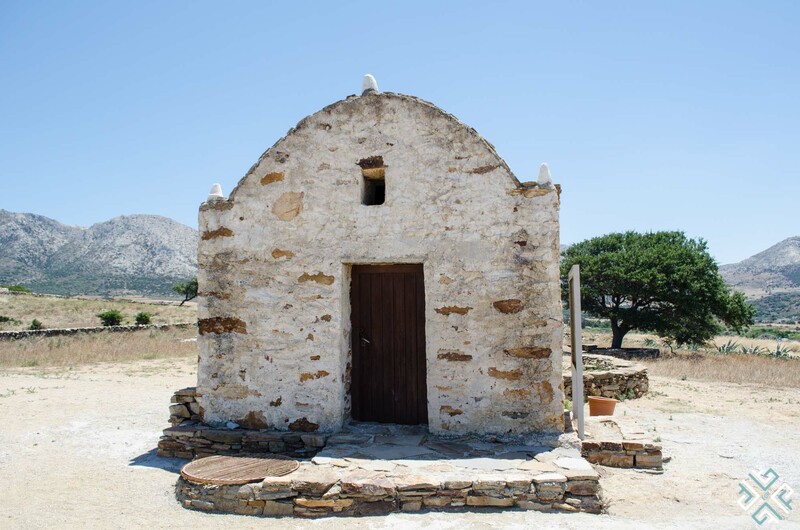 We hope that you find this Naxos travel blog useful. 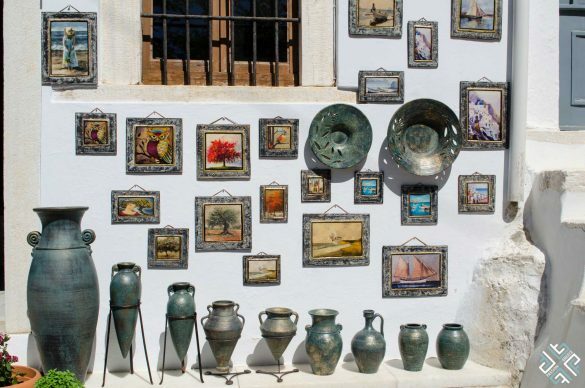 Wonderful post and pics! Such good memories. 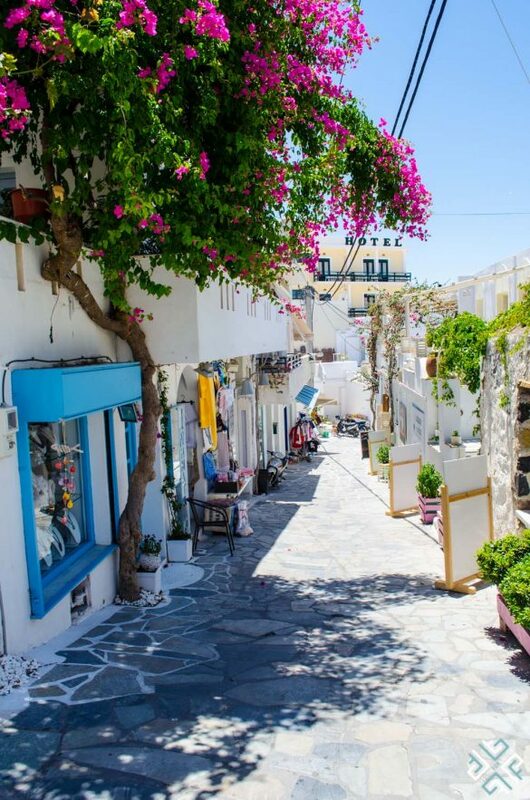 Naxos is a truly magical island. Can’t wait to go back. It was such a memorable trip! Totally agree and looking forward to going back together! 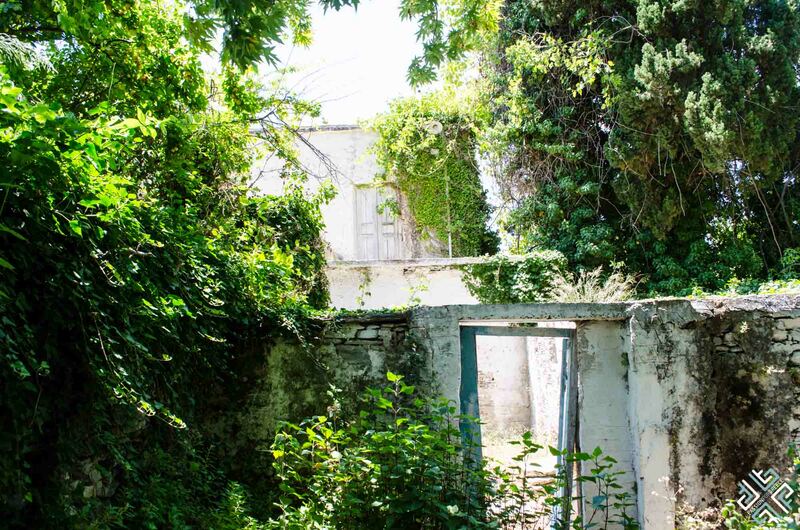 Amazing coverage of this now very popular island. One of our first students came from Naxos! Dimitris Lianos!!!! 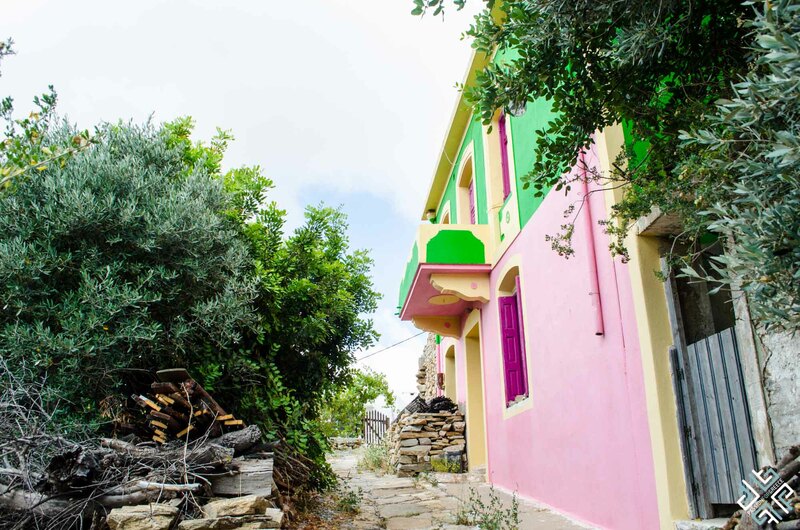 Thanks Alpiner Elena for sharing all these splendid photos and footage of this beautiful island!